Moving is not an easy task. You need to organize a lot of things, to change your habits, your home, and friends. And when you are leaving Miami for Boston, you need to prepare yourself for very different weather. Boston has very cold winters. So, the first thing that you need to do is to buy some winter clothes. Also, culture is a little bit different. After all, Boston is the sixth-largest city in the United States. Boston is also, one of the oldest cities in the United States. Boston is also known as the “City on the Hill” and as we mentioned it is one of the oldest cities in the United States. Boston has a very important place in the history of the United States since a lot of things happened here for the first time. The first public school was opened in Boston in 1635. The first subway system was opened in 1897 – Tremont Street Subway. From this, you can see that Boston was always first at something. It is a city that is growing, developing and today – it still has a lot to offer. Today, it can offer different things than before. A lot of people are moving to Boston, and all of them have different reasons. Whatever the reason you are leaving Miami for Boston, you need to learn some basic things about it. Your life will be much easier and you will enjoy your time in Boston! Well, you need to know that Boston is not a cheap city to live in, but since you are leaving Miami for Boston you probably already know. The city’s economic base includes finances, biotechnology, information technology, and government activities etc. A lot of people are choosing to live outside the Boston city center since the cost of the living is one of the highest in the United States. Are there good reasons for leaving Miami for Boston? Well, we can’t judge on this but we can tell you our opinion – yes! There are a lot of good reasons for you to leave Miami for Boston. It doesn’t matter if you are old or young, do you have a job or not. You will be able to find a spot in Boston that will suit you perfectly. For example, if you did not know this, Boston is an international center of higher education. There are a lot of prestige universities and colleges. You can study law, medicine, engineering – anything that you want! If you are looking for a job, then you should know that Boston is the world leader in innovation and entrepreneurship. In Boston, you can find over 2000 start-ups. 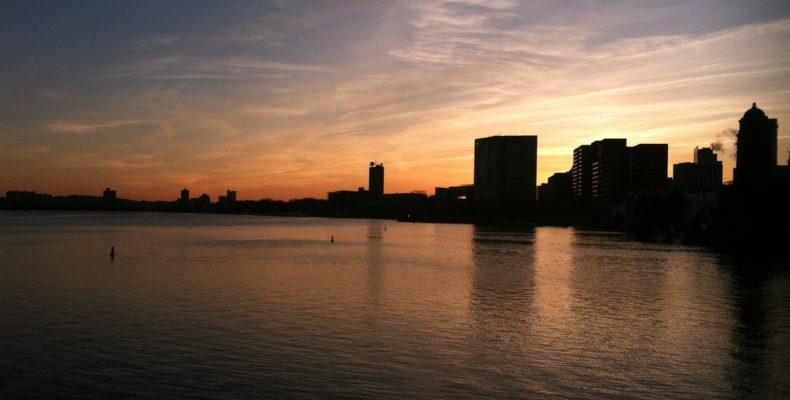 So, if you are looking for a job or you are looking for a place to start it – well Boston is definitely the place. If you are in a hurry to get to your new job, experts can help you pack your belongings for the trip. You will save the money, the time and your nerves. And in no time, you will be in Boston at your new job! 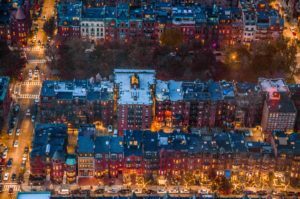 How you can choose neighboorhood in Boston? We are going, to be honest with you – Boston is the city of commuters. As we mentioned, it is expensive to live in Boston so people are choosing to live outside the city and commute to work. If this is your case, don’t worry – you will find friends and someone you can commute with really fast! So, how can you choose where you want to live? After all, you are leaving Miami for Boston and we are sure that wasn’t an easy decision to make. Deciding where you want to live in an unknown city is not easy as well. If you want to live in Boston one of the most beautiful neighboorhood is Beacon Hill. It is filled with cobblestone streets and old historical houses. The interesting fact is that you will find tourist here, but you will find residents as well. The price that you should expect is about $3000 for a two-bedroom apartment. Beacon Hill is a perfect place for a young family! If you are young, and you are moving with your family and you really want to live in Boston you should consider South Boston, It has waterfront access and it is developing. So, the decision is on you. Are you looking to live in the city center or suburbs? We have shown you just two most common choices, People in the beginning rather choose to live in the center, but after some time they move to the suburbs. Is it going to be easy to relocate? Well when you are moving from Miami to Boston, you need to learn and research a little bit about moving. It is not just an easy move where you will move locally. You are moving to a different state and you need professionals. Our honest advice is to look for a Boston moving company such as premiumqmoving.com since they will be able to tell you more about Boston. They know maybe some hidden spots or good places to visit. Either way, if you hire professionals from Boston, you won’t regret it. 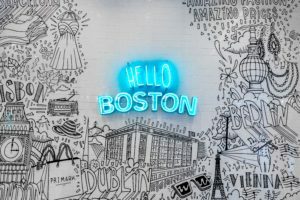 How to start the journey to your new home – Boston? Well, you should know, this is a journey. You will experience a lot of different things, and you will be able to meet a new city. And that is a really exciting fact. But before you start the journey – you need to prepare yourself and your budget. You need to go through all of your belongings and sort them out. You really shouldn’t carry too much clutter with you. So the first step is to sort your belongings. You can be relieved, the second step is a little bit easier. You will have to find moving boxes. But if you decide to hire professionals- you might even get them for free. And, logically – you will have to pack up all of your things! Well, this might be hard since you will be leaving Miami and moving to Boston, but you need to schedule a moving date. 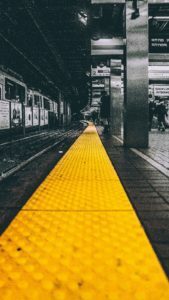 After date – you can prepare yourself, take a stroll down your old neighborhood since you will feel homesick at the beginning and prepare for your new adventure – moving to Boston!